Languages & The Media 2018 Conference features SubtitleNEXT as official Silver Sponsor product this year. The 12th International Conference on Language Transfer in Audiovisual Media takes place from 3 – 5 October 2018 in Germany’s Berlin-Mitte. Major themes at the conference which are being sponsored by PBT EU and STAR, will include new distribution models, language tools, interlingual transfer, accessibility, the future of work and quality standards. 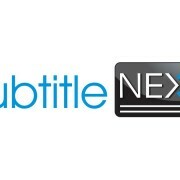 Visitors to the conference can discover how SubtitleNEXT can be tailored to suit and adapt to their specific requirements. As part of the lecture agenda, a PBT EU representative will present on ground-breaking SubtitleNEXT news – to be confirmed closer to the time. 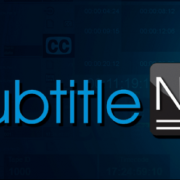 Come and explore SubtitleNEXT at the conference. We are living at a unique time in history when the digital, biological and physical are interconnected like never before by emerging technologies. This revolution is already affecting every industry and economy in some way. How will new technologies affect media and transform language-use? Will technological innovation lead to change that empowers us? Considered “the fourth Industrial Revolution reshaping languages in the media”, this dynamic conference will examine these crucial questions and the way in which innovative technologies are changing how AV media is delivered globally and how we consume it across languages.